Our introduction to the world of scents starts, at least for most of us, in secret—as in, a childhood spent trying on our parents’ perfume. But over the years, our perception of smell changes along with our taste. As we age, we develop a liking for smells that more or less embody who we are, only to realize later on that we are in fact not that kind of person. We find ourselves switching from the scents we used to think of as our signature to new warmer or fresher ones—that is from woody to floral or fruity or vice versa. Year after year, we discard half-empty/half-full bottles of perfume because we seek new scents to better represent us. But that shouldn’t be the case as perfumers now argue. British perfume brand Jo Malone London believes that we don’t need to constantly switch perfumes to reinvigorate our scents. In fact, instead of switching to new ones and throwing out scents that we no longer like, a better way to find a signature scent might be to combine what we already have through a process called fragrance combining. 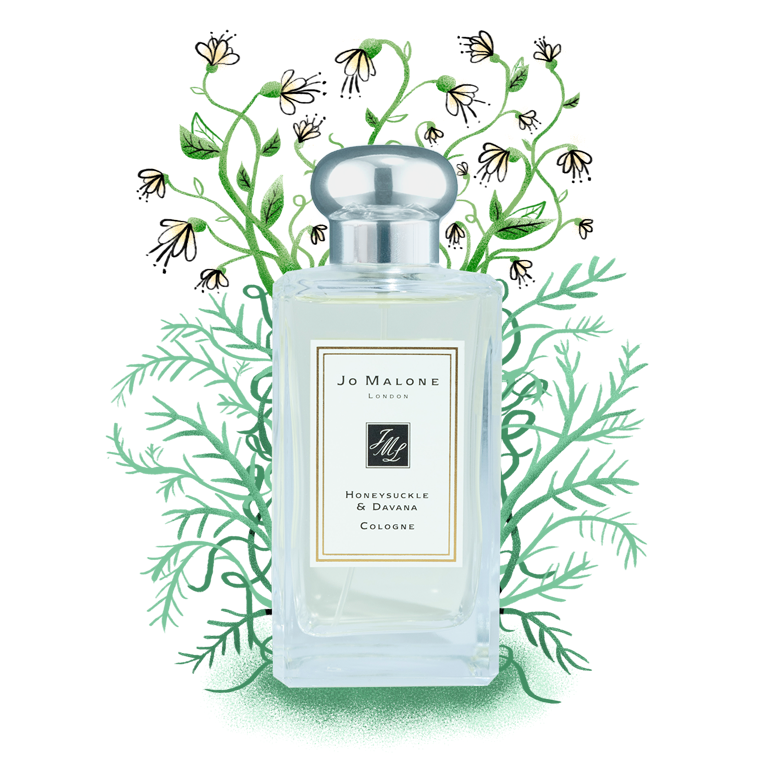 Fragrance combining according to Jo Malone London is mixing two or more perfume scents that complement each other to arrive at a unified body of scent that could adapt to our needs. Nolisoli.ph visited a Jo Malone London store to know more about how even perfume novices can transition from using only one scent to getting the most of their bottle of perfumes. As we enter the store, we were immediately greeted by a deluge of smells. We were led to the center aisle where Jo Malone London’s signature colognes can be found including their newest one, the Honeysuckle and Davana. It’s a floral scent with a top note of Davana, a green plant with hints of licorice, which gives the fragrance a touch of fruitiness. Of course, central to the scent is honeysuckle, adding a rich sweetness to it, and finally, as its base is moss, which lends a woody warmth to kind of wrap it all up together. Believe it or not, the first steps they make customers do to find their signature scent is to combine multiple scents. And it’s something that they have been advocating for the longest time. “First, we ask our customers what their favorite scent is. And then depending on whether it is warm or fresh, we let them choose another scent to layer it with to make it warmer or fresher,” shared one of the stylists. How many scents can be combined at once? There are no rules when it comes to fragrance combining, really, except maybe considering what type of perfume you have (warm or fresh) and then pairing it with the opposite of its kind. For example, to make a woody scent (think bergamot) more suitable for use in the day, just add on a spray of something fruity or floral, and vice versa. From there, it’s just a matter of judgment, whether a smell is too much or too faint. You can also layer scents not just with perfume but also with body wash, cremes, oils, and even candles and room sprays for your home. Plus, a little trick we learned while doing some research at the store: combining perfume with body creme actually makes your perfume last longer! Just lightly mist a part of your body like the wrist or your upper body with your base perfume—it can be warm or fresh—and then follow it up with a contrasting but complementary scent. The secret to mixing it really well is to lightly pat where you spray so that the scents combine seamlessly without introducing heat, thus changing its chemistry. For home scents, it’s basically the same logic. You start off with a base scent, a candle perhaps, since here at Jo Malone London, we have almost the same scents for perfume and candles. Then once its smell diffuses, you can spray the room with a scent of your liking. Give it some time and you’re good to go.